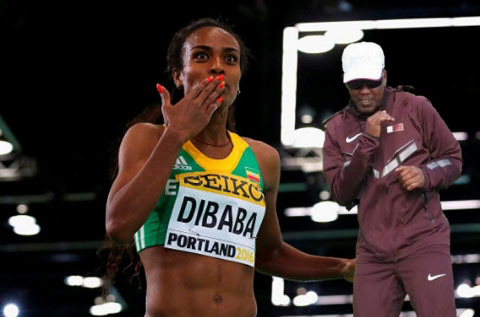 The coach of world 1,500-meter champion Genzebe Dibaba and other long-distance runners was arrested near Barcelona after Spanish police raided his hotel room and found traces of EPO and other banned substances yesterday. The athletes, including Dibaba, at the raided hotel were mainly from Somalia, Sudan, Ethiopia or Djibouti. Dibaba is a heavy favorite to win the Olympic women’s 1,500 in Rio de Janeiro. A simultaneous police raid in Madrid also yielded 16 arrests related to the trafficking of drugs and anabolic steroids.